Even with 2018 shaped up to be another year of growth in cloud computing, you might be holding back because you’ve heard about the drawbacks of SaaS (software-as-a-service) models. However, you shouldn't give these concerns much consideration. As the cloud has continued its climb in popularity, most of the earlier problems have been addressed by cloud providers that spend huge amounts of resources to strengthen their systems and provide cost-effective solutions. After all, more people in the cloud means more customers. These days, those often-repeated flaws of SaaS ERP systems often don’t hold up to inspection. 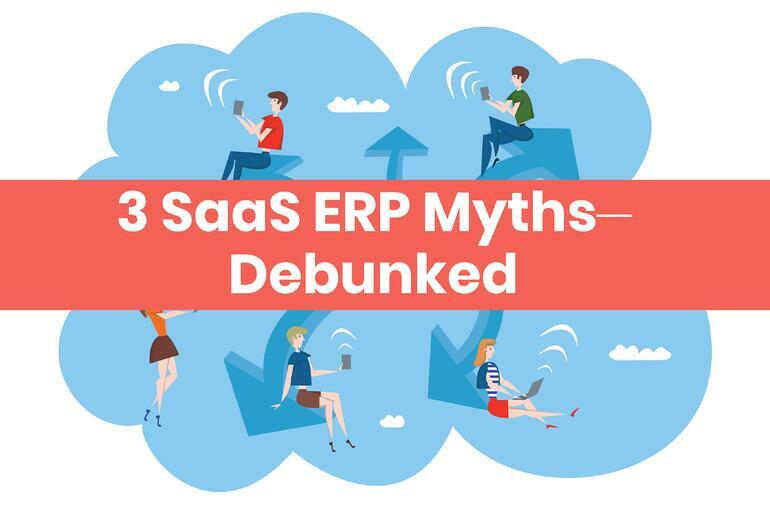 We're giving you the truth about the most prevalent myths surrounding SaaS and explaining why manufacturers and distributors shouldn't be afraid of committing to hosting their ERP in the cloud. It’s probably the definitive hot-button issue when it comes to discussing technology in the cloud. When you don’t store your critical data and ERP processes on-site, how can you trust that it’s secure? There have been some serious security breaches in the news that were mistakenly credited to cloud computing. In actuality, very few of the most publicized security breaches have happened within the cloud. The fact is that the cloud, and its tough security measures, serves as the backbone of SaaS providers. That means a security breach on their cloud servers would be devastating to their business: there would be downtime, maintenance costs, terrible publicity and the loss of both current and future clients. You can imagine how much time, manpower and investment they put into storing your data—now how much of those resources do you have to dedicate to the security of an on-premises system? Cloud providers will often allow more security for your data than you would be able to provide yourself because they operate their hosting on a large scale for all of their customers. Think about it: most people will trust a secure internet connection when they email personal information or put their credit card into an online store. The cloud has accumulated a largely undeserved reputation as easily penetrable and poorly secured, but that perception could not be more wrong. Cloud providers spend huge portions of their resources on security because they know it is important for their customers and a crucial factor in gaining re-subscriptions. One of the most common reservations that companies have about committing to an SaaS ERP system is the subscription-based pricing model, as opposed to the one-time per user ownership fee for on-premises systems. Legacy ERP vendors will liken the difference to the "rent or own model," assuring you that in as little as three years you’re going to be paying more in total for the cloud ERP than you would’ve if you’d just gone with on-prem. What those naysayers fail to account for is all of the correlated costs that come with on-site deployment. Do you really want to hire more IT people, dedicate resources to training existing team members or invest in the middleware and hardware required to host and run ERP on-site? What’s more—things that will often be bundled into the subscription cost of your software (system customizations and routine maintenance and upgrades, for example) won’t be included in your up-front fee for on-premises ERP. Instead, those costs get billed as they need to happen. And you know that when it comes to enterprise software, maintenance and upgrading are not quick, one-time operations. They are routine, and you will be routinely billed. A lot of the time, a more in-depth cost analysis reveals that because of the hidden fees associated with on-premises deployments, SaaS stays cost effective for a much longer time. Much like their security systems, cloud hosting services leverage economies of scale so that they are able to provide everything you look for in an on-premises system in their SaaS ERP offerings. The same goes for connectivity capability. Those thinking about moving to the cloud will naturally be concerned about the "web" part of web-based ERP. What if the connection goes down, or the provider has downtime on their end? For a business-crucial piece of software like ERP, every minute of downtime on the system can accelerate costs. However, because connectivity is such a huge part of customer satisfaction for SaaS ERP providers, they naturally make it a priority. They delegate a lot of their resources into ensuring they offer enough servers and service to keep your ERP up-and-running 24/7. SaaS ERP providers stake their business on making the cloud an attractive option for you. 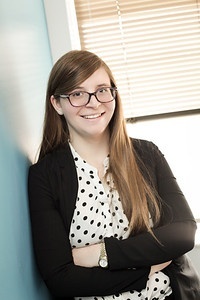 Naturally, they have made some great strides in addressing common client concerns about the cloud, including downtime, security and TCO worries. Because the big vendors invest all of their resources in providing ERP systems for many clients at the same time, they are able to utilize economies of scale to deliver all the features you need: data storage, analysis, quality control and more. Furthermore, these necessities come without the price tags and intense labor required to maintain on-premises ERP. Of course, just as the cloud is an attractive option for many businesses, there may be specific reasons why SaaS ERP is not right for your business—read more here for the factors that may hold you back from a web deployment. If you need more information on different hosting options for your ERP software, or want to move to a different instance, contact an expert at Datix today. We're an Epicor Platinum Partner, so Epicor ERP projects are our specialty. We support Epicor's myriad deployment options and go the extra mile to guide you throughout ERP projects for optimal software performance.